After a big move, you’ll also have some big decisions to make. One of the most sizeable decisions may be your new cable package. When you’ve moved to a new location, you may have access to different cable companies in comparison to your previous address. This can mean you’re able to get a better deal on your cable service, or you may be able to add on services you’ve wanted, but weren’t able to take advantage of previously. The experts at MovingAddresses.org know how confusing cable packages and company offerings can be, especially when dealing with choosing a new service after moving. 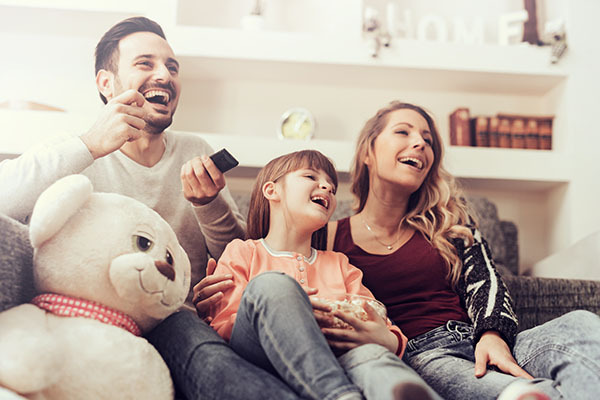 The team has compiled a list of tips and strategies to help you find the perfect cable package that makes sense for your family and your new home. If you lived in your previous home for a long time, you probably haven’t updated or even thought twice about the cable package you’re signed up for currently. After you’ve moved into a new home, it’s the perfect time to think about what services you had, what you used and what you didn’t, so you can put together your ideal cable package. Most companies offer cable packages that can include high definition channels, digital video recording capabilities or added premium channels. The experts at MovingAddresses.org recommend analyzing your usage of these features and channels before signing up for your next cable package. You could save yourself some money by eliminating the features you don’t use or could easily do without. Premium channels can sometimes be added to your cable package if you sign up for a promotional deal. Once the promotion ends, however, you can be stuck paying for these premium channels, even if you don’t watch them regularly. The team at MovingAddresses.org suggests looking at the details of your old cable provider’s bill to analyze which premium channels you were receiving. These channels can add an extra $10 to $30 per month to your bill. After you complete your move, analyzing the channels and options you want to keep and what needs to go will give you a better realization of the type of cable package you need for the home. The internet is a great resource to learn more about the cable packages offered by the companies that service your new area. It can also be used to read up on reviews and complaints from customers of these companies. While you can’t trust a few negative reviews, if you’re seeing a pattern of low ratings and bad reviews, you may want to stay away from that particular cable company. The team of experts at MovingAddresses.org suggests looking at several different online resources for reviews of the cable companies available to you. Never rely solely on the company’s website for customer reviews, since the company is likely to only list positive reviews and testimonials on its website. The Better Business Bureau and Yelp are great resources for honest and real opinions about cable companies and packages in your new area. Another important factor when shopping around for your new cable company and package is the reliability of the internet and cable in your area. If you’re planning to use a satellite dish service, rainstorms or wind can deny you of television for hours on end. Interview your neighbors and ask about the reception they’ve experienced with different cable companies , including how the cable performs in the middle of a storm. According to the team at MovingAddresses.org, your neighbors are a wealth of information about the reliability of the internet and cable by the companies that service your new community. Asking the locals about the cable services and their experience with reception in the area can allow you to eliminate the possibility of certain companies that offer service to your new home. Narrowing down the potential cable companies you’re considering can make deciding on a package easier and less complicated.